Flagship Merchant Services is a credit card and payment processing service that has been in operation since 2001. It can process a slew of transactions, including standard retail transactions, restaurant transactions, wireless transactions, phone/mail transactions and even high-tech e-commerce transactions. At a low cost, you're getting bang for your buck with Flagship Merchant. CreditCardProcessing.com is an online transactions processor designed for individuals and business owners who want to be able to accept credit card payments. It offers quick account set-ups and a slew of high-tech features. As an example, it offers counter-top 'point of sale' terminals that make it exceptionally easy to take orders at a restaurant or retail establishment. Leaders Merchant Services provides a legion of customized merchant transaction services for individuals and businesses. The company serves those with both good and bad credit. Furthermore, it charges nominal transaction fees instead of monthly or yearly contract fees. Overall, it’s a highly recommended budget-friendly option for entrepreneurs who want to move beyond simple cash payments. 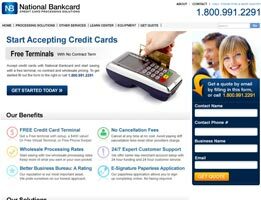 National Bankcard is an all-encompassing credit card processor that caters to all industries, including retail, restaurant, e-commerce, lodging, mail/phone order and even gasoline. Furthermore, National Bankcard not only accepts credit cards and checks, but it also offers credit card terminals, wireless terminals, receipt printers, mobile CC readers and much more. 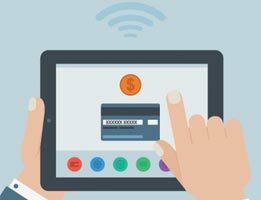 E Commerce Exchange provides retail, wireless and e-commerce transaction processing services for entrepreneurs wanting to accept credit card payments from their clients. If you are approved as a client, in fact, you will be able to accept Visa, Mastercard, Discover, American Express and Diners Club cards. With E Commerce's speed and low price point, this product is sure to please. If you own a business then you know how important it is to use credit cards for your sales. 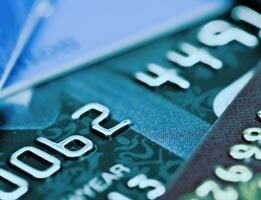 Customers shop with debit and credit cards now more than ever. 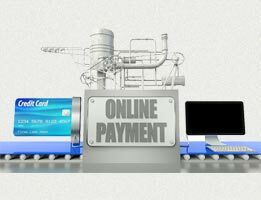 If you’re looking to do online sales, the need for conducting credit card transactions is almost a required method of payment. Very few businesses today do their sales using cash or check payment through the mail. It’s faster and more convenient for you and your customers to utilize credit card processing. To grow your business and to take advantage of credit card sales, you will first need to apply through a credit card processor. These companies provide you with a link to merchant banks and make the credit card process that much easier for your business needs. Credit card processors make their money by charging small fees (application fees, monthly maintenance, transaction fees, etc.). Determining which credit card processor is right for you will depend wholly on features your business needs, fees you can afford, the startup costs (if any), and so forth. After you pick a processor, you need to find a vendor to work through. Competition for you business is high, so vendors don’t have monumental fees. Comparing vendors is easy, too -- many resources exist that rank vendors, and you can look into client ratings on them as well. You’ll want to find a vendor that has a high rate of application acceptance. The more applications accepted by the vendor, the more likely you’ll be accepted as well. Companies with a high rate of approval, generally above 95 percent, are good places to start in your application process. A good vendor application process will be one that is easy to navigate through. Most vendors do online applications nowadays, which makes the process easier and faster. The vendor will do background checks on you as well, the standard credit check, background on your business, bank information, and so forth that you should expect. These can also be done securely online, and within a day or two you should have an answer from the vendor. There may be a small startup fee, but once approved you can start making money and taking credit card sales online. When you get approved, your vendor will send you the security and access information you need to start taking invoices from your customers. You can begin making money at this point! If you have any problems, however, you should contact your vendor right away, using the customer service contact information you received from them. You’re well on your way to making more money through the use of credit card sales. It’s simply a necessity in these days of digital marketing. It’s more convenient for you and the customer. Don’t let the credit card processor application process be a daunting one! It’s a fairly simple process, and it seems more intimidating than it really is. With new technologies, however, you can get started as soon as today, with approval given to you right away.